Drexciya Research Lab: Der Zyklus interview for Superfly magazine (2004). Der Zyklus interview for Superfly magazine (2004). 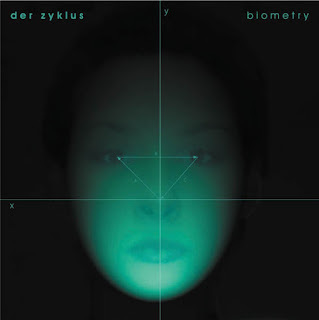 This interview was kindly sent to me by Andrea Benedetti, who interviewed Heinrich Mueller about Der Zyklus' Biometry album in 2004 for the Italian print magazine, Superfly. Why do you choose byometrical identification as the leading topic of this new album? We now live in precarious times, terrorism and other forms of malignant acts are rampant in global society. Biometric technology will become ever more ubiquitous as a fundamental security measure across the world. Its presence and importance cannot be ignored, this is what prompted the integration of electronic music and biometry. Biometry influenced the development of this project. Do you have a positive approach about technology applied to every day life or do you feel that there is a dark side of the thing (control of the masses, less humanity)? I am neutral in this regard. Technology is just what it is, tools created by man to enhance his very existence. It is neither evil or good, it only does what its human masters wish for it to do. Humans can make rational decisions and choices,machinery cannot do this just yet, even though artificial intellects are very advanced at this time and breakthroughs in this field are being made we are still some distance from this as of now. The masses are controlled because they allow themselves to be controlled, most people do not think profoundly and let a handful of others do this for them. Their political leaders. Listening to this last work, I've felt a more digital approach than in the past. I mean less analogical gears (or anyway 'classical' synth/drum machines) and more virtual synth and dsp. Is it true? If yes why this change? A new musical direction for your music? One should never rely on one type of method in order to create, if so stagnation and repetition will gradually take root and limit growth. The operational aspects of a device is immaterial, it's the end product. People place too much emphasis on particulars of the production procedure, when in reality they should be focused on the result of this process. In my opinion this album is more focused on atmosphere and sounds than on melodies and rhythm like you did in in your previous works. Do you agree? Is it a special approach only for this album or do you continue to produce material like this? Every project should have its own characteristics. The approach and outcome should always be different. If ones uses the same technique every-time, results become predictable and the element of uniqueness is muted. A new set of conditions must be in place for each project. Everyone has his or her own definition of rhythm and melodic structure. One may say percussion is rhythm and the other may say time delay reflections are rhythm. It's all individual interpretation. 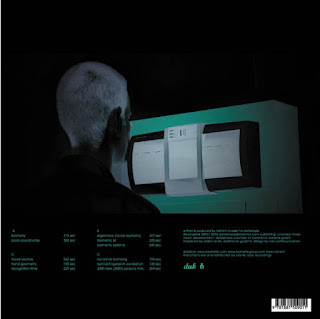 Can you explain better your collaboration for this album with the company Byometric Group in Germany? It was not really a collaboration in a technical sense. It was only an act of courtesy on their behalf in allowing us to collect imagery for the concept. That was the extent of their involvement. Why did you choose the name Der Zyklus? The concept of a cycle or periodic motion is fascinating, repetition, repeat a sequence of operations time and time again has a certain charm. The scientist has been always an important figure in your music. Why? We use the scientific method in our work, hypothesis-theory, experimentation, conclusion. The scientific image is more than ornamentation it's how we function. If test results are in accord with theoretical projections it becomes fact, if the opposite occurs we disgard or reconfigure the theory. Which is your favourite scientist ever and why? There is no favourite, many men and women have contributed to human progress. They are all important for their contributions. Which are the artists you like more in the past? And now? There have been many interesting developments from all eras so there is not a particular time point which is more interesting than the other but I will say that integrity today is a rarer find than in the past and this in turn has a tremendous impact on the music itself. It's a long time you don't make a live act. Why? There will be new performances in the next future? This requires extensive preparation and forethought but we will see what the future holds. After almost twenty years do you think that techno has made its 'revolution for change' ? If innovation is the prime directive the revolution will never have closure and it will remain a continuum but if stagnation and backwardness grip the form you can confidently say that its revolutionary intent has come to pass.The concept of a Golden Age is when there is a period of highly advanced research and breakthroughs, this age can sustain indefinitely as long as people are pushing the boundaries of scientific theory and these theories materialise into something practical.